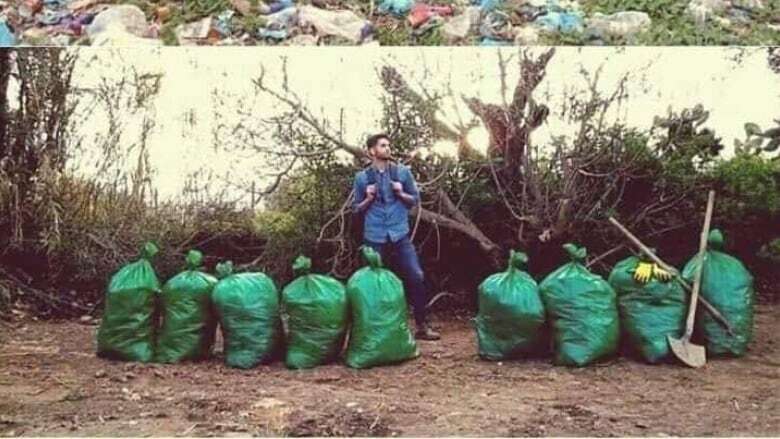 Byron Roman started the Trash Tag challenge after posting a photo of him cleaning up some garbage, and the tag has since gone viral. Roman gives credit to Steven Reinhold for starting the trend, but it was his post that went viral last week. Turns out the best way to motivate people to do good things is to make it into a social media challenge. Roman posted the photo challenging “all [the] bored teens out there” to follow suit and collect trash around that needs to be cleaned up. He told CBC that he came up with this caption because he sees all these teens on social media who are willing to do something silly and dangerous just to participate in the trend. “I came up with ‘bored teens’ because lately all you see online is these challenges of people jumping out of cars or the Tide Pod challenge, eating soap," he said. Roman makes a good point: if you have enough time to participate in challenges for fun, then you should also have time to do something productive and helpful. The original photo of Roman shows him standing behind nine bags of green trash bags, all neatly tied and lined up. He posted it on his Facebook originally just for his friends to see, but people liked his message so much that it went viral. The #TrashTag mobilized people of all ages, not just the bored teens he called out, to go out and pick up trash areas that are long overdue for a cleaning. Unfortunately, this hype for the #TrashTag probably won’t last long, as memes and challenges usually have short lifespans. However, it did prove that people are able to take some time off their day to clean up garbage in their surrounding areas. Inevitably, there will be litter all around us, so the online evidence we now have proven that the excuse of not having enough time to clean up is not valid. With more people showing their support for the tag, we can see how much people care about the environment. Even if they did it just to be part of the trend, the garbage around still got picked up.